The dramatic increase in cost-to-market for drugs over the last decade has put increasing pressure on drug discovery efforts to do more with less; accordingly, several different models have cropped up in the last few years. One strategy that has been gaining popularity with drug developers is the rescue and repurposing of drugs, often times by virtual pharma companies. 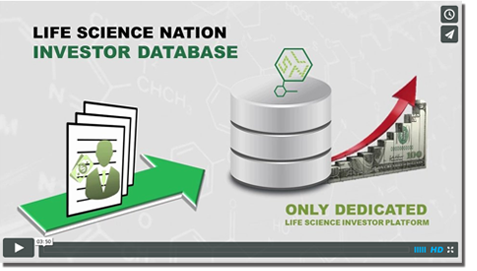 A virtual pharmaceutical company typically in-licenses an asset, then out-sources all phases of research and manufacturing, while maintaining core executive and project management individuals. Virtual pharma teams are generally made up of individuals with several decades of drug development experience, who recognize that it is not always necessary to take a candidate from square one. Many drugs are developed through IND enabling studies, only to fail in clinical trials due to poor bioavailability, off-target effects, or a lack of efficacy for a particular indication. At this point, several things can happen. In a small- to medium-sized biotech company, often times the only option is to close up shop and sell off the company’s assets – including the failed drug candidate – in order to exit the investors without more loss. A savvy virtual pharma executive sees this as an opportunity to then rescue this failed drug for an indication not necessarily thought of previously. Similarly, just because a drug candidate is developed for a particular biological target, does not mean that it is the best or sole possible use of the drug. Repurposing is where a drug that is currently being sold for one indication is redeveloped and tested for use in an alternate indication – often times for a rare or orphan indication. The US government is also getting involved in discovering new uses for existing molecules, as the National Center for Advancing Translational Sciences (NCATS) launched a program in 2012, in which several large pharmaceutical companies contributed 58 existing compounds to academic researchers in order to help re-engineer the research pipeline. These strategies are an attractive alternative to reduce the enormous average cost – $900 Million – and time – around 13 years – that it takes to develop a drug from start to finish. Small biotech companies will always have a place in the market, as they are the ones translating the next generation of scientific discoveries into the next generation of revolutionary therapies. Rescuing and repurposing has become another example of the adaptability of the life science sector. In this case it is the formation of a niche market that experienced drug development teams are filling with alternative vehicles – such as Virtual Pharma companies – to provide the marketplace with a steady stream of therapeutics.